Versatile submersible lighting system transforms your water garden into an enchanting nighttime gathering place. 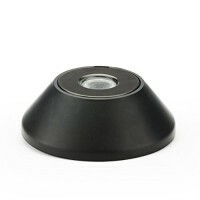 Energy conscious low voltage halogen lights include four colored lenses to give off moo.. 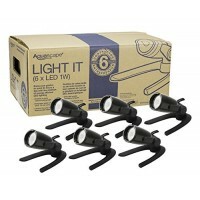 Designed for quicker and easier installation of Aquascape lighting components, Aquascape lighting contractor packs take up less space, reduce the amount of packaging and are ideal for installations re.. 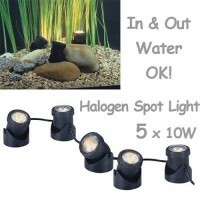 The Aquascape 84030 Three-Light LED Garden and Pond Spotlight Kit includes everything you need to create a beautiful nighttime focal point in any water garden or traditional landscape. 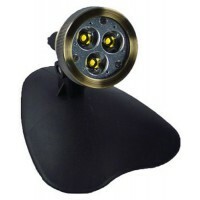 The small compa..
Aquascape 3-Watt 12 Volt LED Spotlight is ideal for larger plants, trees or waterfalls. Can be used fully submerged or outside of the water. 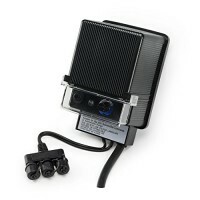 Includes two different mounting platforms, adjustable stand..
12 volt replacement bulb. 20 watts. Halogen. 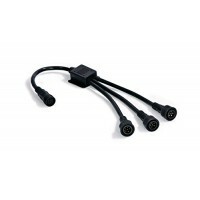 2 pin connector. 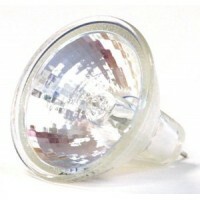 Fits old style Aqua cape 20 watt hex-head light only. Non-returnable product.Genuine Aqua cape ProductFor use with koi ponds and water fea.. The Aquascape LED Fountain Accent Light gives you a beautiful ring of light at the top of a wide variety of decorative fountains and water features, completely transforming the way your fountain looks..
Six (6) pack - 84031 Aquascape LED Garden and Pond Spotlight 1-Watt Add a new dimension to your water feature by bringing it to life at night. With today's busy lifestyle, it is often difficult t.. 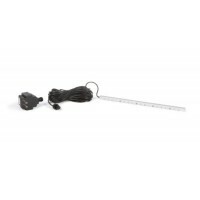 The Aquascape 1-Watt LED Waterfall light provides beautiful lighting options ideal for use in ponds, waterfalls, gardens or the up-lighting of plants. 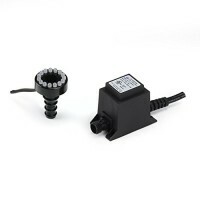 This energy-efficient, compact light can be place..
Make lighting your water feature quick and easy with the Aquascape 150-Watt Garden and Pond Transformer with Photocell. Aquascape low-voltage transformers provide an economical solution for operating ..
Aquascape Path and Area 3-Watt LED Hat Top Landscape Lights make it easy to illuminate any landscape or outdoor area. 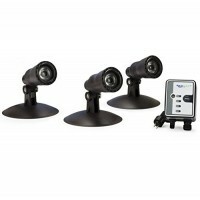 These energy-efficient LED lights provide beauty, safety, charm, and visibility in.. Illuminate your outdoor landscape and or water feature with SOL Color Changing Lighting. 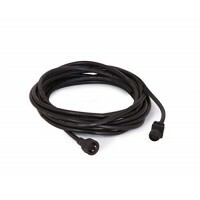 Atlantic Water Gardens SOL 3-way (6-wire) splitter for SOL LED Color Changing Lights, connect up to 3 lights to..
20' SOL LED Extension Cord - adds 20' of length to the power cord for all SOL White Atlantic LED Lights, allowing you to perfectly illuminate your pond, fountain, waterfall and or landscape.Splitters .. Replacement Colorfalls Bulb & Transformer in SOL Warm White color for 12-inch Atlantic Colorfalls spillway units. 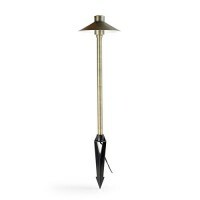 This bulb works with all 12" single color Colorfalls waterfall spillways and can easil..
Atlantic’s SOL Lighting features solid brass bodies with an oil rubbed bronze finish that adds class to your application while reducing the heat emitted. 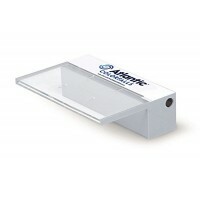 The SOLWLR features a 150-degree beam angle an..
Atlantic’s SOL Warm White Lights feature solid brass bodies with an oil rubbed bronze finish that adds class to your application while reducing the heat emitted. The SOLCC2 features a 45-degree beam a.. 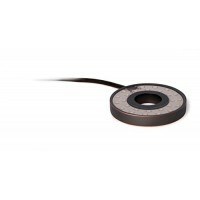 The SOL30X4 transformer and 4-way splitter is for use with all Warm White AWG and SOL LED lights in any pond, fountain, waterfall or landscape application. With an input voltage of 120 volt AC and out..
For more than just a warming glow to your evening, Atlantic’s Color Changing SOL LED lights are the solution. Just like our popular Color Changing Colorfalls, these LEDs create a vibrant nighttime atm.. Exclusive BONUS Max Ponds Magnet Calendar! Atlantic's all new SOL Lighting features solid brass bodies with an oil rubbed bronze finish thatadds class to your application while reducing theheat emitte..